Safely home again after a few days of post-Dartington rest and relaxation staying at a "remote and top secret location with current literary connections and a very gorgeous dog" in the Cotswolds, it was my absolute pleasure to visit the Margaret Calkin James exhibition currently on display until September 21st at the Court Barn Museum in Chipping Campden. The museum itself a tribute to the Arts and Crafts Movement and the setting a perfect one for the work of Margaret Calkin James. I wrote about Margaret here after I'd picked up her book on the Rainbow Workshops whilst browsing the V&A bookshop and had a lovely e mail correspondence with her daughter Elizabeth Argent at the time. Imagine my delight to find that Elizabeth was at the exhibition, talking to visitors and showing them around. We had a good chat and I'm so glad I went because this will be the final public exhibition of Margaret's work before it is all archived in the V&A for posterity. 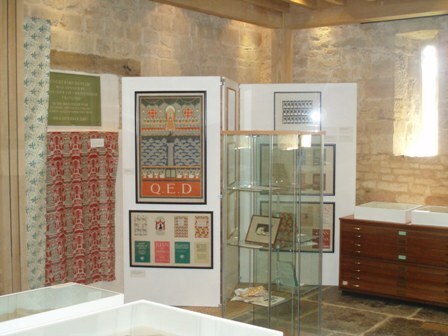 Hopefully it will be on permanent display but there's something about seeing textiles behind a glass case which slightly detracts from the whole experience. 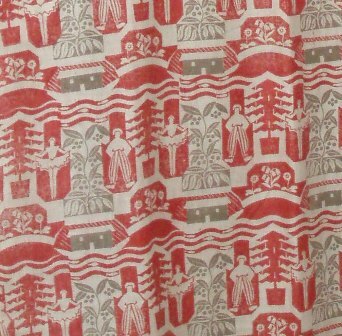 Memorable for a textile fanatic like me to get close up to the fabrics especially the hand block printed schoolroom curtain from Margaret's home Hornbeams, used as the endpaper in the Persephone Books edition of The Runaway by Elizabeth Anna Hart. 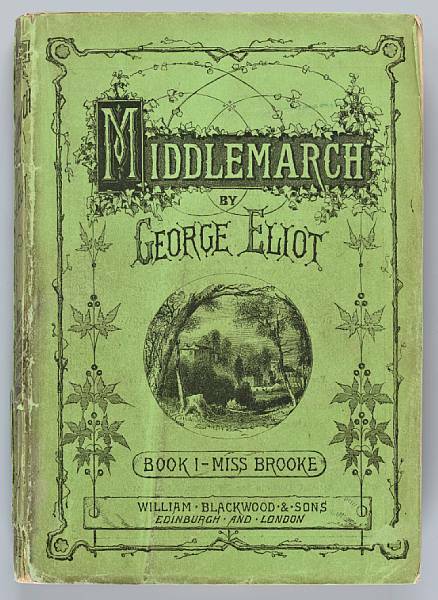 A book illustrated by another dovegreyreader favourite, Gwen Raverat. It has to be the sign of a truly dedicated artist, one who cannot live and breath without their craft, that Margaret, having suffered a stroke which rendered her right arm useless, taught herself to use her left hand and carried on producing the most exquisitely beautiful tapestries. Still very much in evidence, Margaret's characteristic eye for design in a different but immaculately worked medium and one that Elizabeth recounted brought her mother great joy in her later years, the sight of the blank canvas there to be worked would gladden her heart. 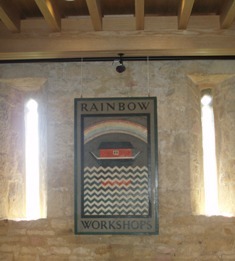 Elizabeth kindly allowed me to take some pictures to share with all of you, but if your are passing Chipping Campden it's definitely worth paying a visit because you can buy a poster of that fabulous Rainbow Workshop sign for a mere £5. Then you could take a wander around this lovely little market town, you might even run into a famous author, who knows? You could also nip along to Snowshill Manor which is what I did next. Remembering forever of course our Belvoir/ Beevor Castle indiscretion, the locals tell me it's pronounced Snowzell, best to get these things right before you go.